Just getting started? Try any of my hundreds of free yoga classes ranging from beginner to advanced to get your feet wet, or take it further with a free yoga challenge. My class’s fun, non-intimidating & accessible style is perfect for the yogi who doesn’t quite fit the mold. 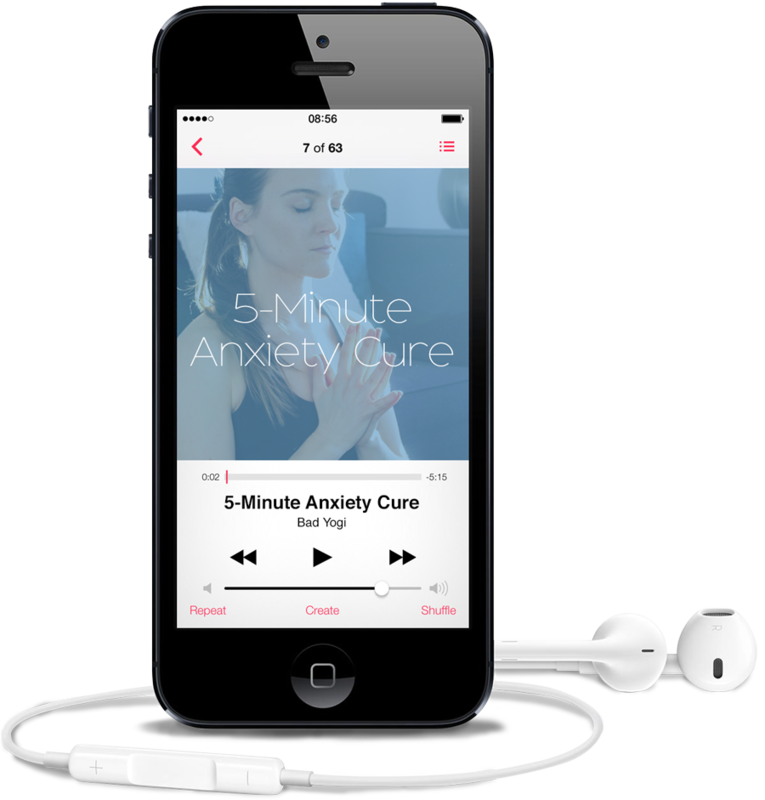 Download this free guided meditation for building self-confidence while instilling a peaceful strength you can use anytime and anywhere. In 5-minutes flat you’ll walk away feeling like a totally zen badass. 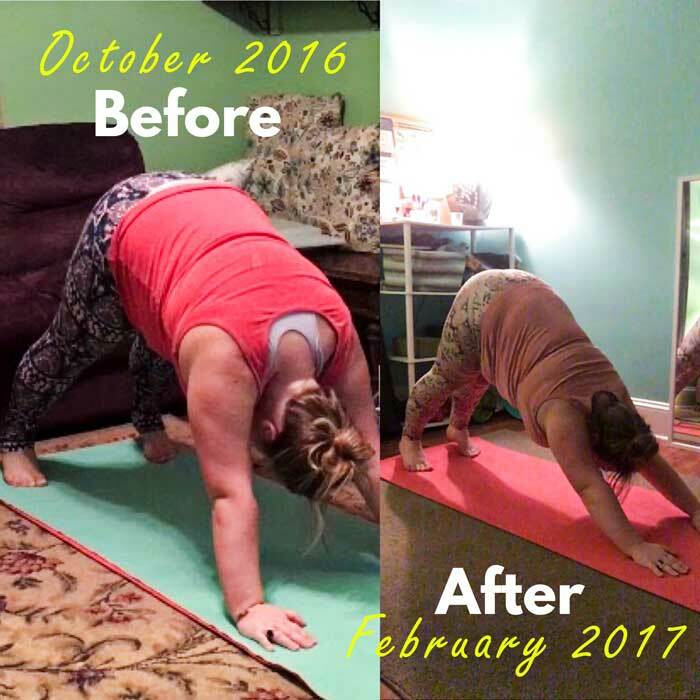 Bad Yogi has given me the confidence to develop my yoga practice without the pressure of trying to fit into some pre-conceived box of what I *should* look or act like as a yogi. I’d rather be a Bad Yogi any day! THE "PERFECT" BODY IS SIMPLY THE HEALTHIEST VERSION OF THE BODY YOU ALREADY HAVE. This is the first program that fuses yoga & fitness and values health over image. This program will take you through 8 weeks of balanced, motivational and health centered yoga routines that you can enjoy and maintain. 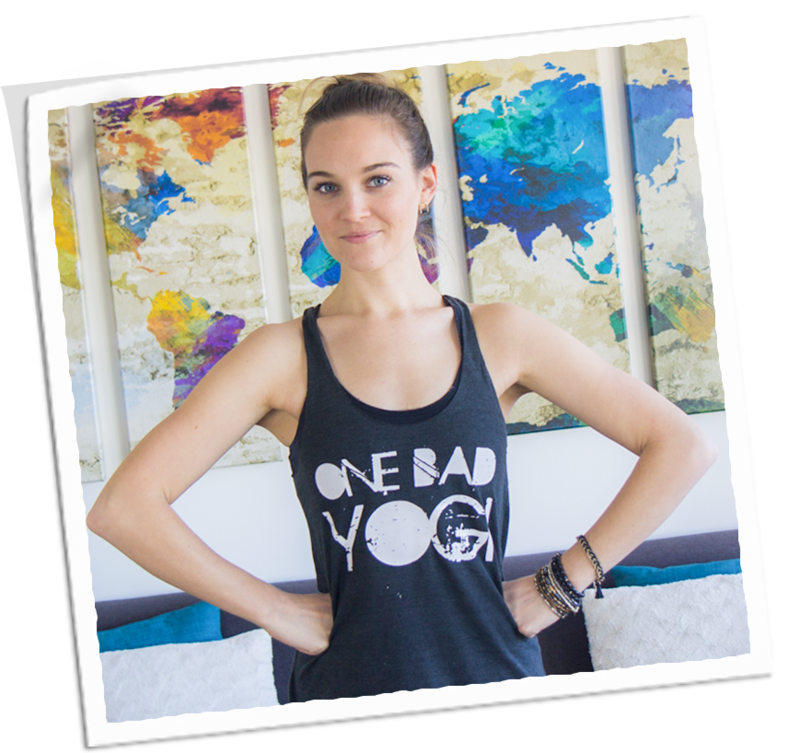 Shop individual yoga classes, full yoga courses, and ebooks to improve your yoga practice, and clothing so you can down dog in style. With hundreds of yoga classes ranging from beginning to more advanced. Erin Motz’s fun, non-intimidating and accessible style is perfect for the yogi that doesn’t quite fit the mold. Search our library of classes to find the perfect one for you. I’m the co-Founder of Good Yogi & voice of real yogis everywhere. 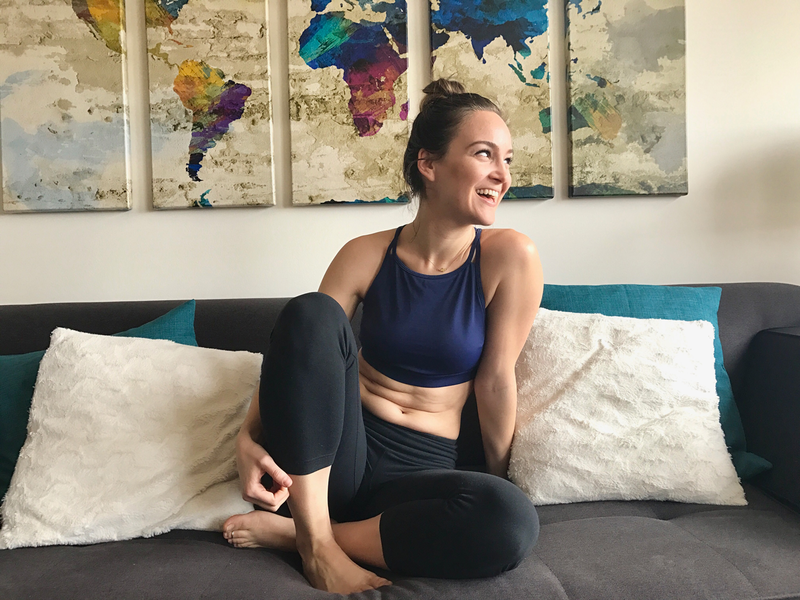 I’m also the creator of the Perfect Body Yoga Program which is centered around the belief that the “perfect” body is simply the healthiest version of the body you already have. In my spare time I’m a wine drinker, cheese eater, and not your average yoga teacher; I’ve been teaching yoga for over 12 years, but you won’t hear much Sanskrit, I totally forgive you if you don’t know your asana from your elbow, and I believe that yoga is for everyone, from the kale loving vegan to the prize winning deer hunter. I may be a Good Yogi, but if I’m being totally honest, teaching yoga has been one of my greatest pleasures; I practice to feed my teaching, but I teach to feed my life.